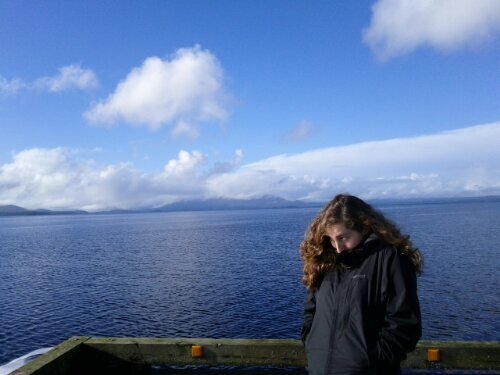 Wednesday morning Sarah and I drove north to Masset. We stopped in Port Clements for fuel and the view. The former was about $1.60/L and the latter was priceless. It wasn’t windy, but it was awfully chilly. The sun was nice. 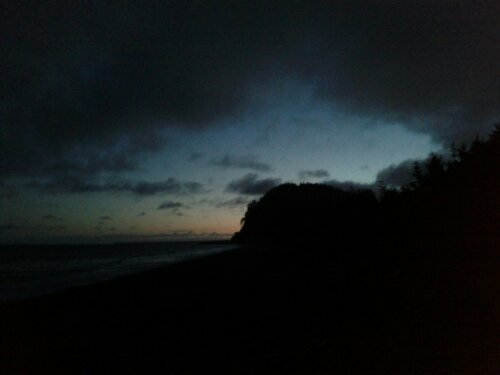 We slept two nights at Agate Beach and visited Tow Hill. 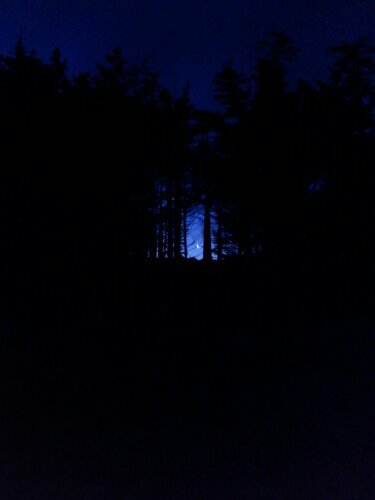 The moon rise was grand. The sunrise a few minutes later painted the sky beautifully. Alas, the olde truism eventually set in; all good things must come to an end. 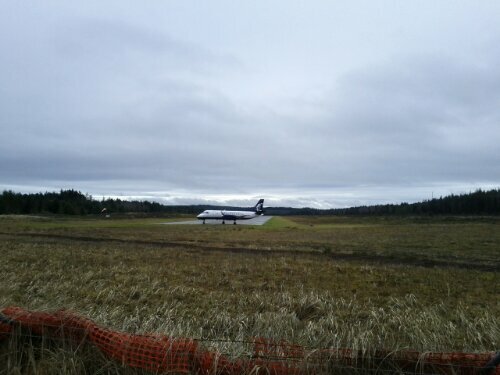 I got in one last photo as I stood on the beach watching Sarah’s plane taxi before takeoff. 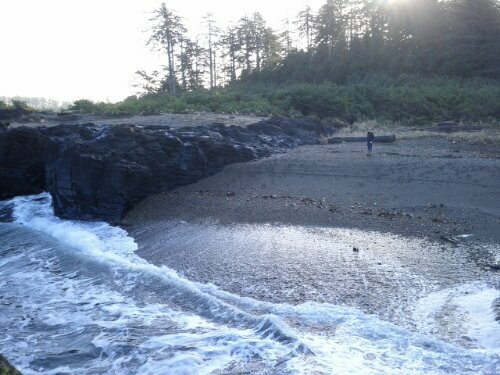 This entry was posted in Adventures, Haida Gwaii and tagged Agate Beach, Masset, moonrise, Port Clements, Sarah, sunrise, Team Snurfklist, Tow Hill. Bookmark the permalink. 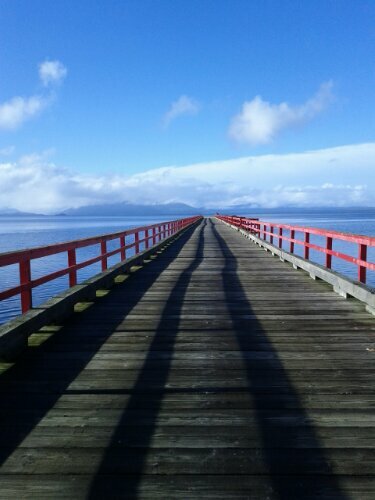 The Port Clement pier is the location of the best sunsets on Haida Gwaii. Did you know, then, that you crossed the San Andreas fault to get to Massett? I think it’s marked on the highway, n’est-ce pas? Where they have to KEEP FIXING THE DAMNED THING. Did you know that Masset is spelled with only one “T”? It was changed because people confused it with Merritt. The town just north of Masset still uses both T’s in its name though: Old Massett.